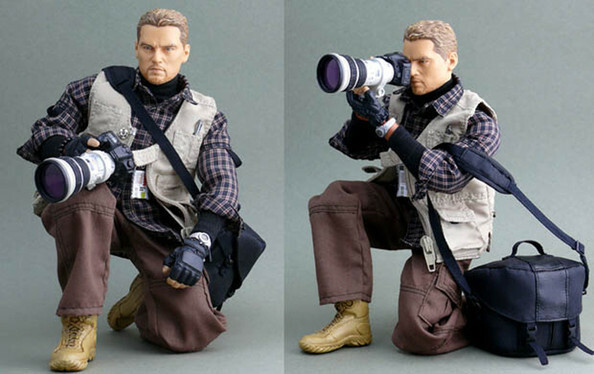 This new action figure of a war zone journalist looks more than a little like Leonardo Di Caprio. War Journalist: Battlefield Hero is a 1/6-scale Toymaster action figure that lets kids play with their very own conflict photographer. The highly detailed plastic figure comes in a box set with all kinds of extras including a camera kit with a body, three lenses, lens hoods, lap top and a camera bag. In addition to basic gear and clothing items, the set also includes all kinds of detailed accessories, including a press pass (didn’t know you needed a press pass to photograph a WAR! ), a pen and notebook, a cell phone, a Bluetooth headset and a water bottle. The box kits can be found on eBay for around $100. 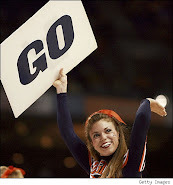 Surely “sports photographer” and “paparazzi” will be out soon. What Is(n’t) Wrong With This Picture?